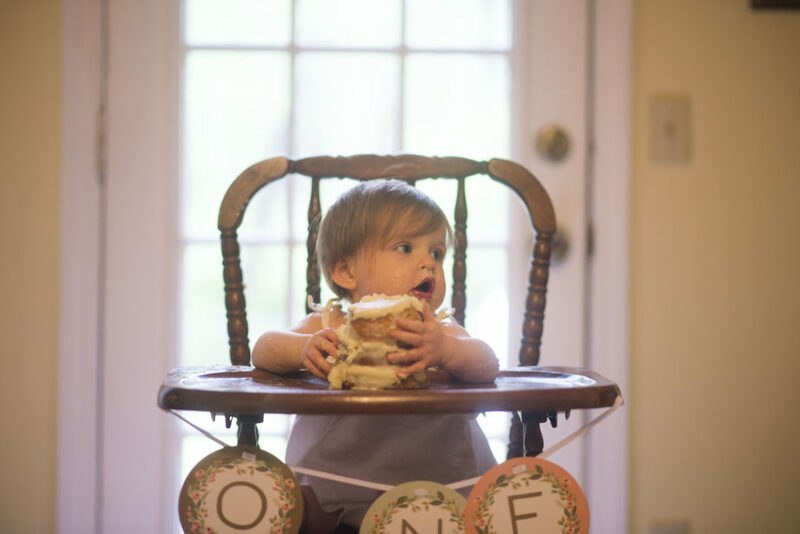 At the middle of April, my baby niece turned a year old. 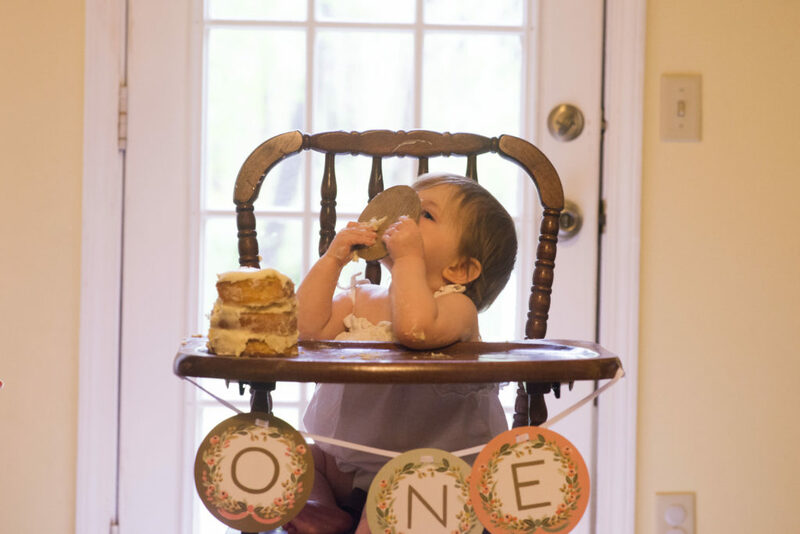 Since before she was born, we had been planning her first birthday party. 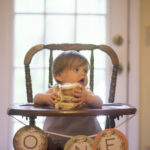 We had contemplated a plethora of ideas. 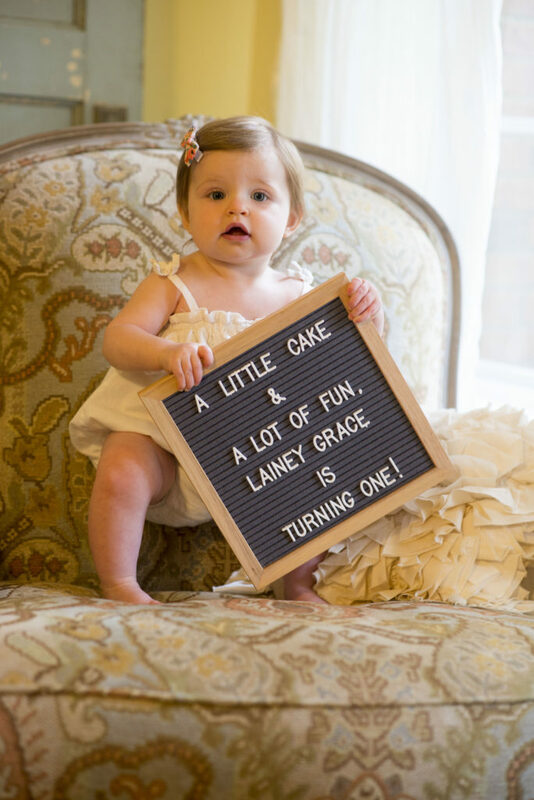 We wanted it to be unique and memorable, just like Lainey Grace. 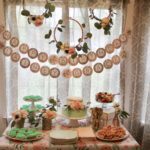 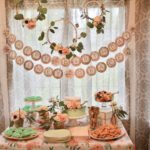 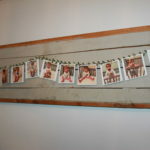 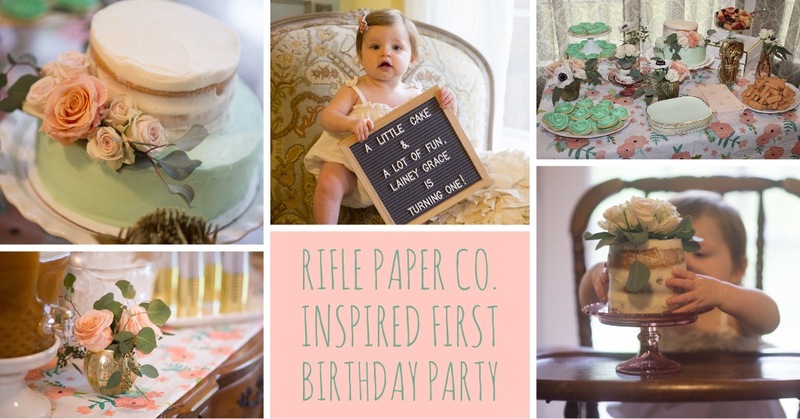 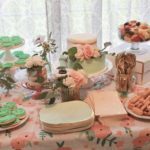 Finally, my sister said, “What about a Rifle Paper Co. inspired party?” I thought the theme was perfect for the spring season and would be enjoyable to plan. 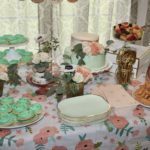 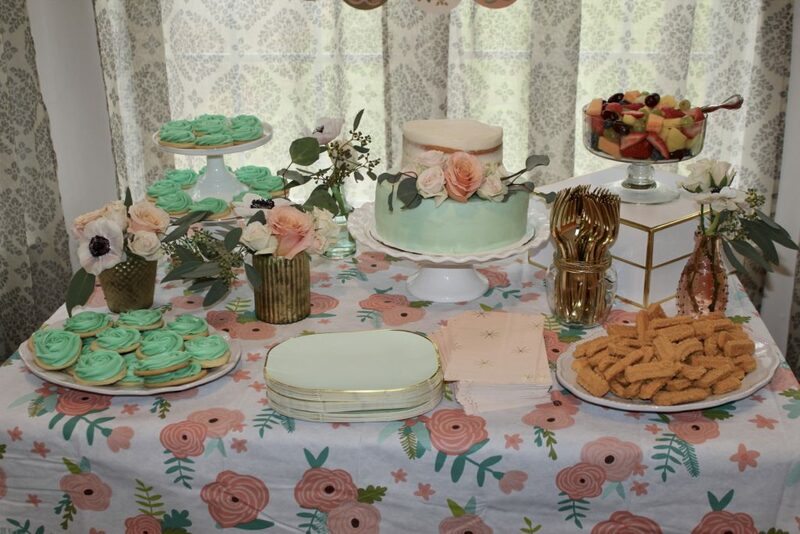 Along with the Rifle Paper Company theme, my sister had chosen mint and peach as the color scheme for the party. 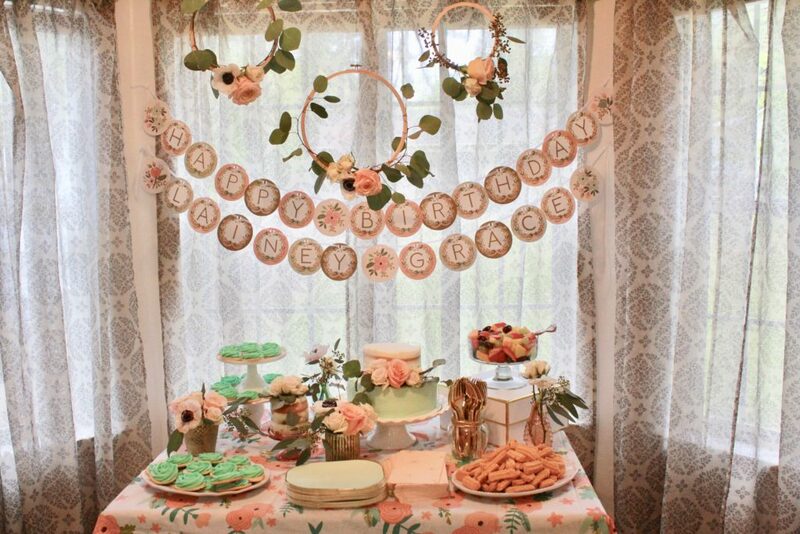 With these details decided, we began the treasure hunt for decor items to carry out this color scheme and theme. 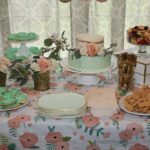 We hit the jackpot when we found tablecloths with a mint and peach floral pattern that looked almost identical to a Rifle Paper Co. pattern. 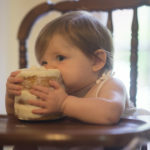 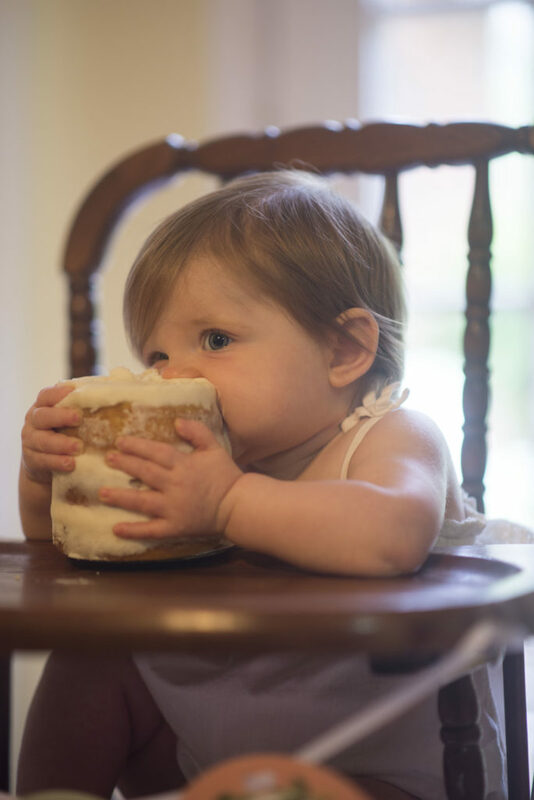 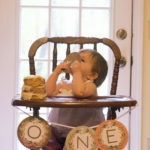 We used these on the main food table, the drink table, and even under the highchair to keep the floor clean when Lainey Grace was given her very own DunkBakes “Smash Cake”. 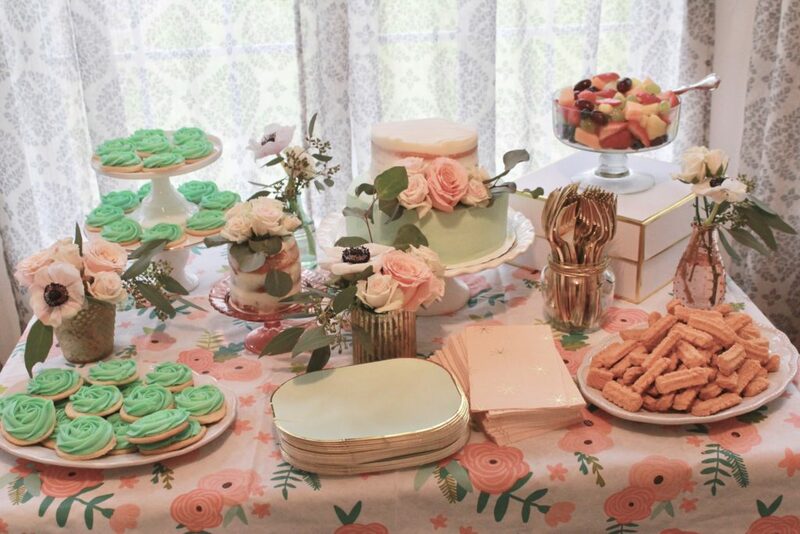 To give the party a little sparkle, we threw in some pops of gold. 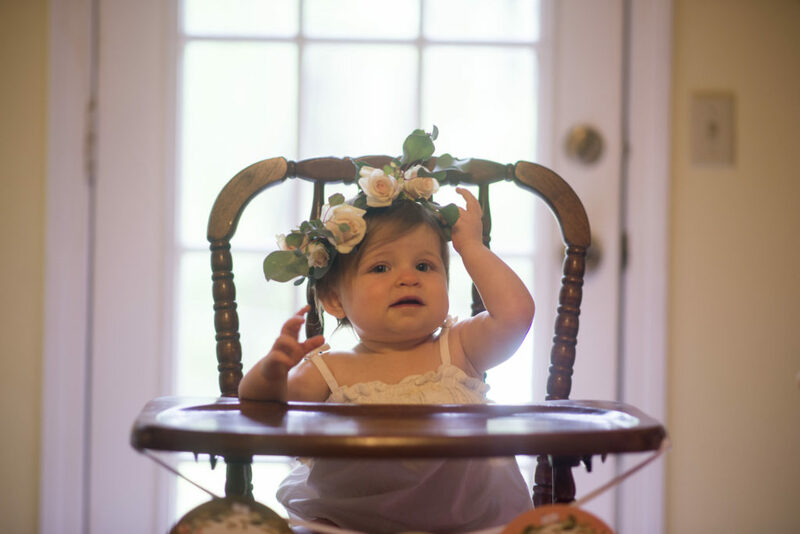 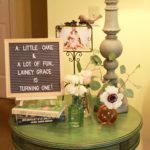 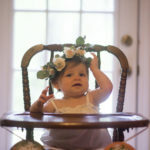 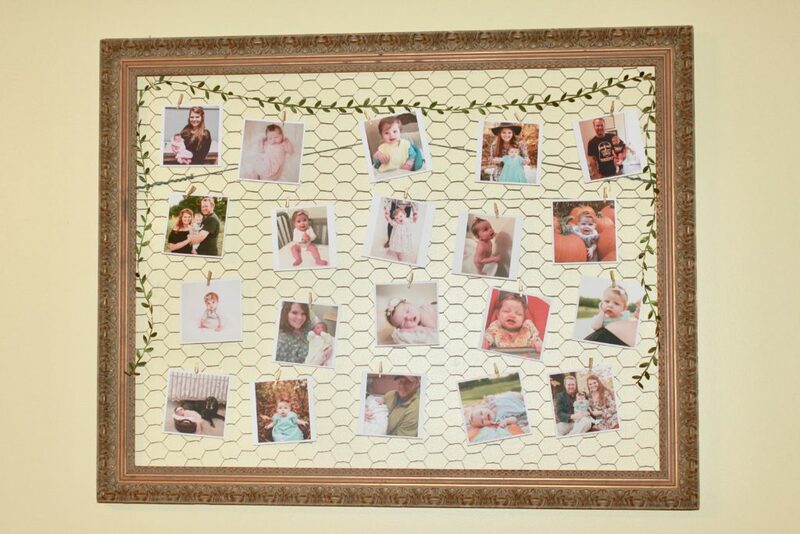 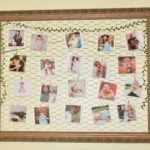 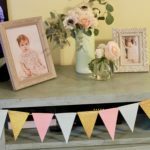 My sister had set up adorable “Lainey Grace vignettes” around the house using the party invitation, sayings, pictures throughout Lainey Grace’s first year, and floral arrangements by yours truly. 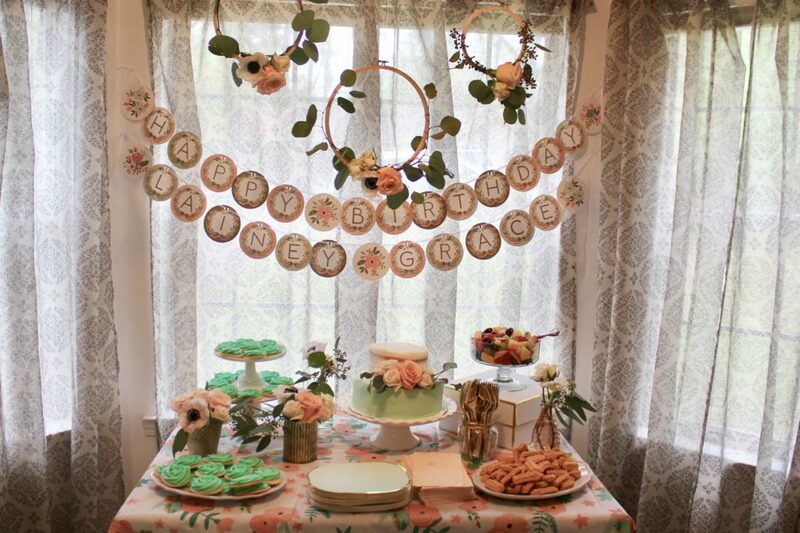 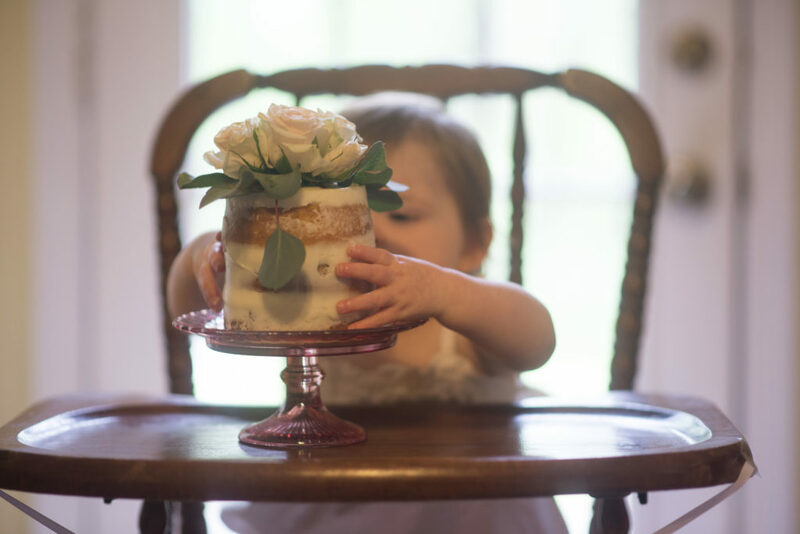 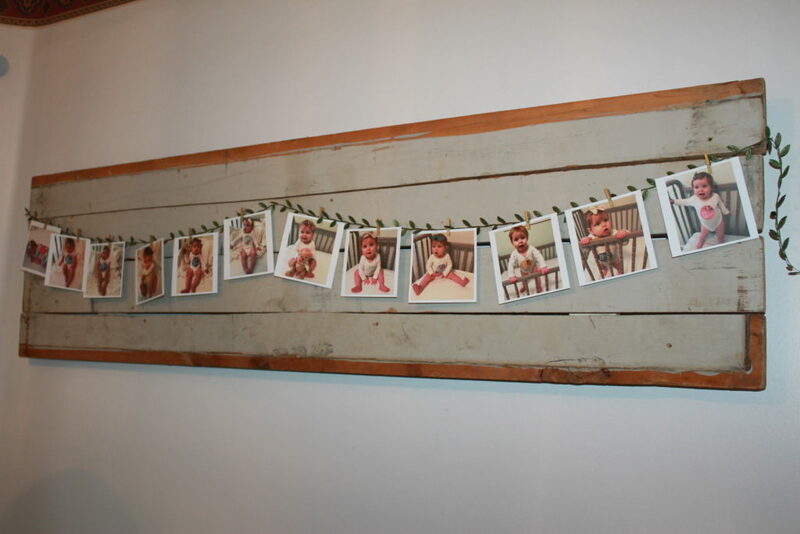 The “A little cake & a lot of fun, Lainey Grace is turning one!” vignette greeted guests and set the tone for the party. 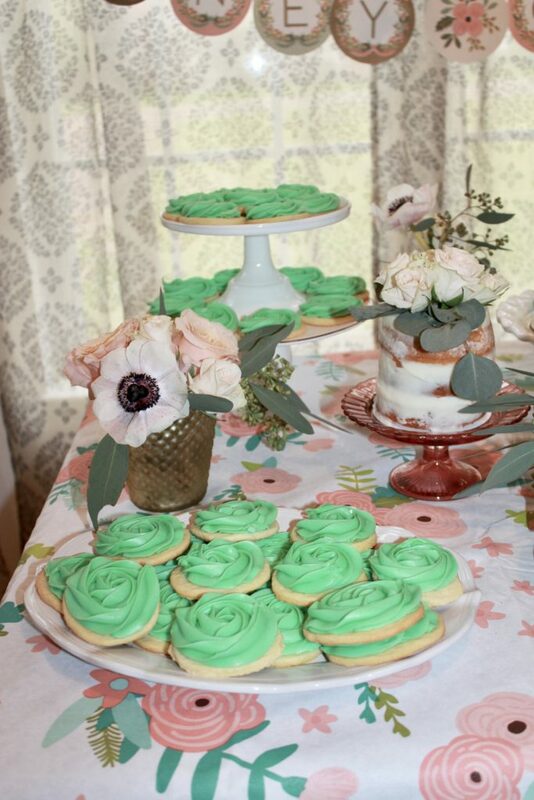 With this being a Rifle Paper Co. inspired party, we knew that anemones were a must for the floral design. 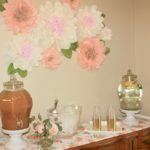 The anemone is quintessential of Rifle Paper Co. design, and they really pop in these floral arrangements. 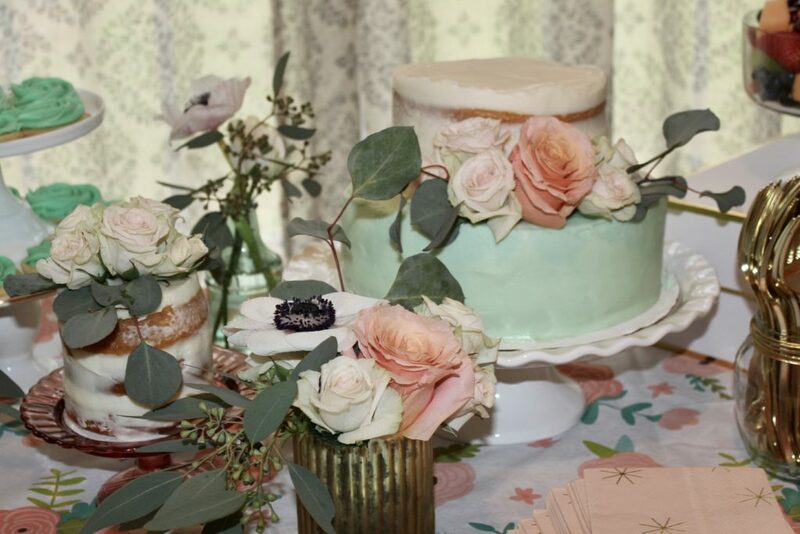 Shimmer roses and porcelina were also used in the arrangements and to embellish the cake. 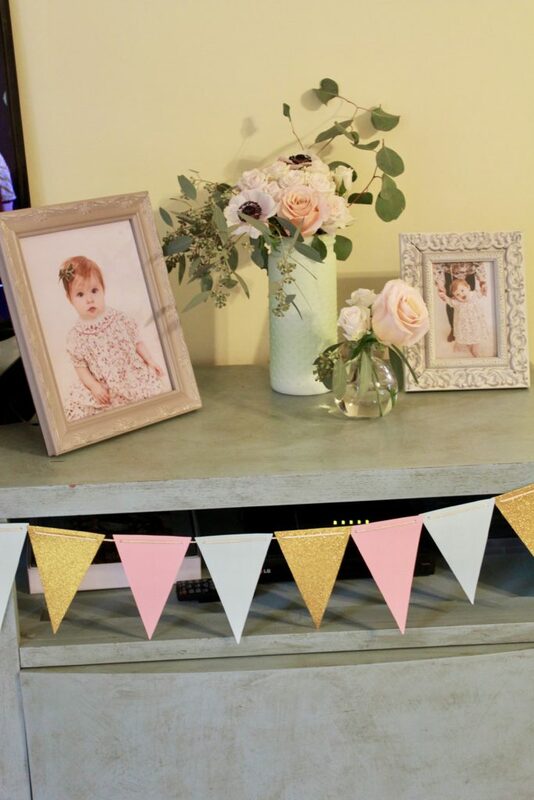 The floral arrangements were intended to be simple, yet stunning. 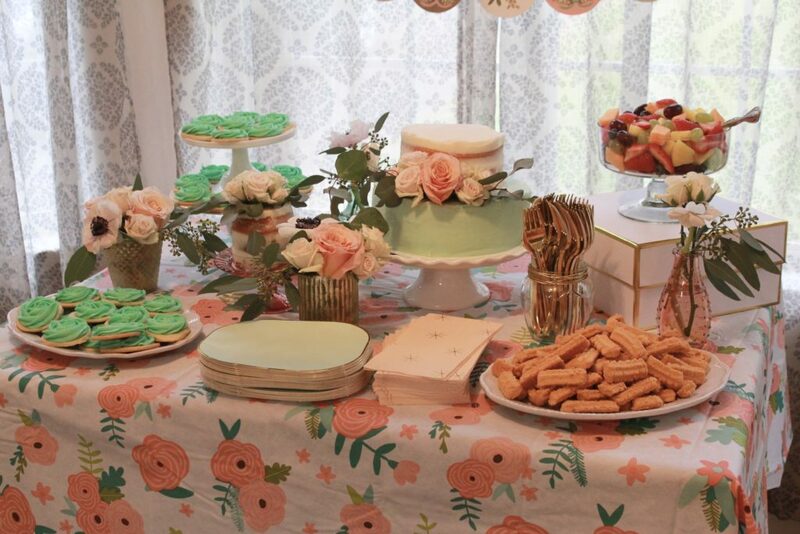 As the invitation read, “a little cake and a lot of fun…”, we kept the refreshments simple. 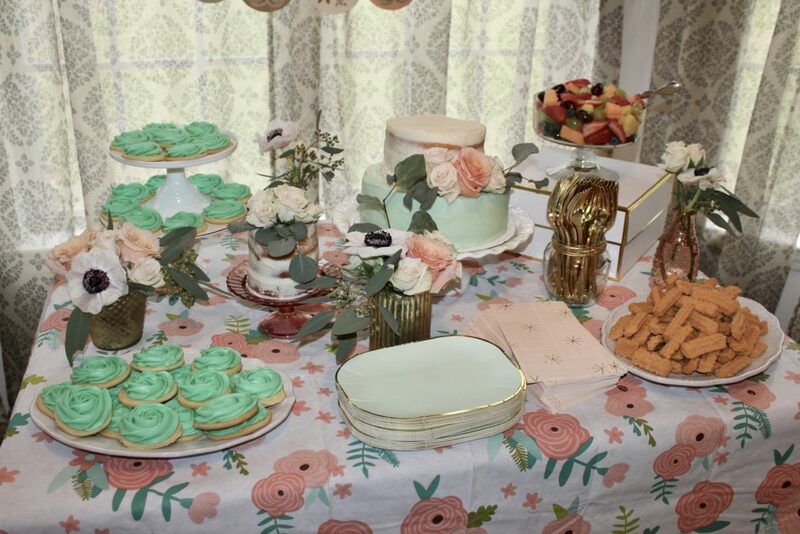 Truly, what do most guests want at a party anyway? 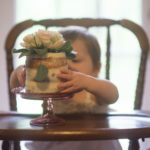 DunkBakes cake of course! 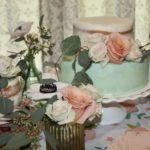 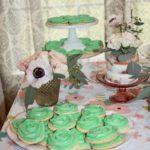 The cake had a beautiful two-tone mint and white frosting and was adorned with the floral embellishments afore mentioned. 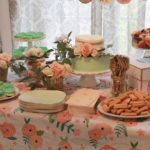 Bite-sized fruit and Mississippi Cheese Straws were perfect accompaniments for the cake. 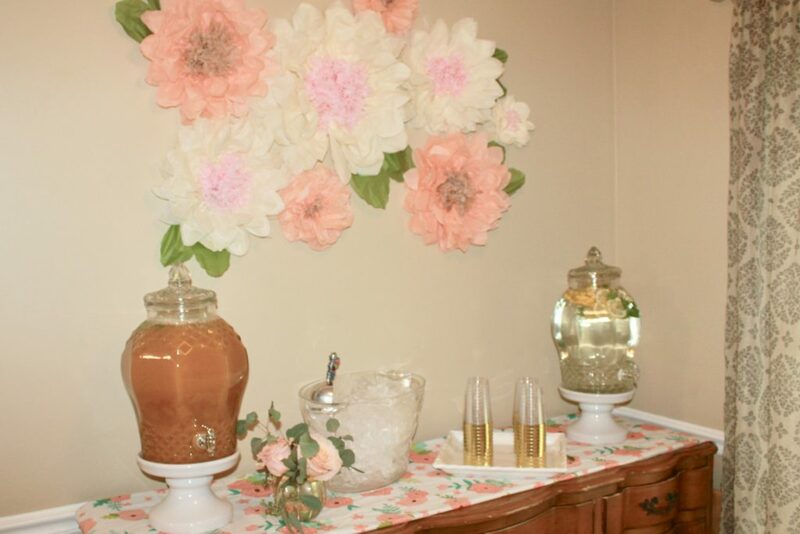 The beverages included fruit tea and lemon-mint water.